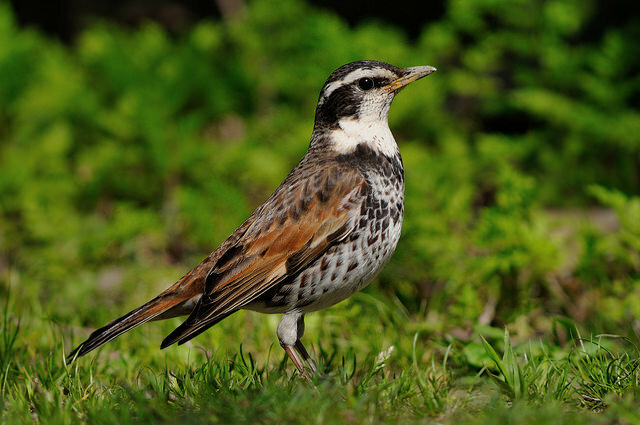 The Dusky Thrush is characterized by its white head and a relatively large number of black spots. It has a bright white eye stripe. 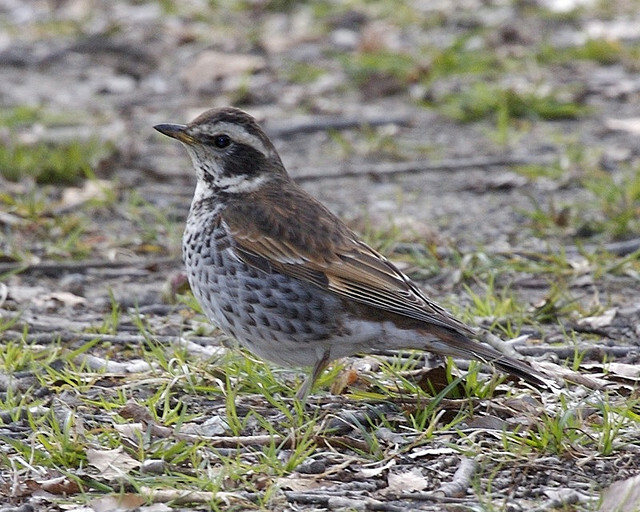 The Dusky Thrush breeds in the Central Asian taiga and is only to be found as a very rare vagrant in Western Europe .